An independent jury formed by MPC and PRIME Research selected Airbus for the Innovation Award presented at the AIRTEC 2018 conference, held November 20 to 22, in Munich, Germany. The jury, consisting of experts from both the automotive and aviation industries, concluded that the future of urban air mobility can only be addressed by comprehensive concepts rather than by individual aircraft. Guennewig continued to explain, against this background, the prize awarded this year by MPC and PRIME Research for the most-innovative urban mobility concept at AIRTEC is of particular importance. Award organizer MPC explains Airbus, with its on-demand helicopter booking platform, VOOM, is already offering an urban air mobility service in São Paulo and Mexico City and plans to further expand the service in 2019. 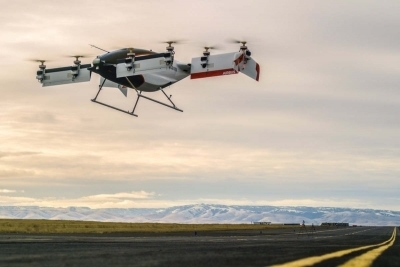 VOOM will continue to lay the groundwork for the company’s longer-term vision of urban mobility using electric vertical take-off and landing (eVTOL) vehicles, according to MPC, which also pointed to company’s work on eVTOL technical demonstrators, Vahana and CityAirbus, as well as on air traffic management solutions. “Airbus’ investments in urban air mobility in Europe and around the globe show the seriousness with which Airbus seeks solution for our future mobility,” said Ulrich Nies, chairman of MPC. Manfred Spaltenberger, member of the board of the German Institute for Inventions and another 2018 jury member, stated new thinking and approaches for the global urban environment and the mobility of the future are urgently needed, and that the concepts and innovations of Airbus are a building block for this.